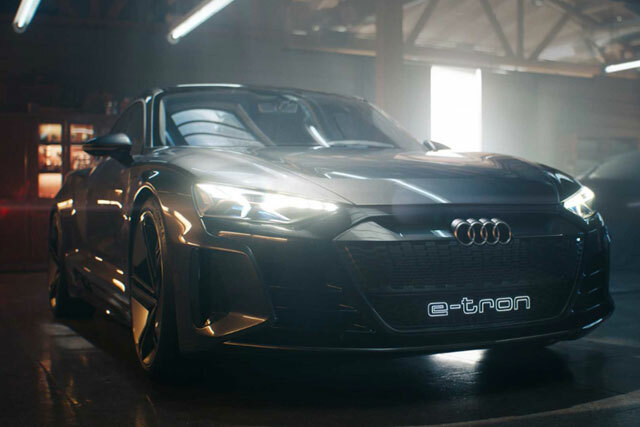 Audi E-Tron GT Super Bowl Ad For Electric Vehicles – What Do You Think? After so much hype, Audi has finally released its trailer, and I must say before anything; I am not impressed at all. In fact, I am feeling a bit disappointed because Audi is such a big name and they paid a hefty amount for it. But nevertheless, that humoristic touch to the ad is somewhat enjoyable. Super bowl provides such a platform to those brands that plan for a quick sale for their items. And everyone also knows it that getting this chance is never easy. You have to play a load of the amount to get a few second time-slots. When this news hit the market that Audi is returning to the TV, everyone got excited, and when we got to know the amount it has spent to get those 60 seconds, man I was expecting something extraordinary. In this ad you see a man walking up to his grandfather and he shows him the EV while you notice that two other cars are also presents and covered. While the man plans to drive the car, he comes back to the reality as he was choking on cashew. That’s the name of the ad CASHEW. When you see the ad, you get all happy and excited for one second and that second dies quickly. Audi had shown its electric cars and advertised them for the first time in this manner, but something just did not feel right. Although the ad is one of the types, it just does not feel complete. What I felt is that Audi did not focus on the Electric cars or their specs or advantages but just the display and a few lines for the future purchasing advertisement. Audi could have done better than this. Also, the e-Tron GT which is not even going to be available for the next 2 years is made the star pick in the ad. I hope that this is not the only ad that Audi has under their sleeves; they better have another ad to surprise their audience.